Delight in two extreme sensations. Your skin will be on full sensory alert when caressed with a Combo Fur Massage Glove, leaving a tingling yet sumptuously stimulating feeling. Combination gloves feature different furs on each side so you can experience two unique massage experiences in one glove. Use both sides of the glove to pleasure your partner by turning your hand over with each sweeping caress to stimulate with alternating sensations, bringing them into sensory ecstasy. Fox - Plush and substantial Fox Fur is simply wonderful for long broad massage strokes. The dense wooly underfur and long lustrous guard hairs make Fox gloves appear 20-30% bigger larger than other gloves. The textured fur is rich yet supple, leaving a tingling and incredibly stimulating feeling. 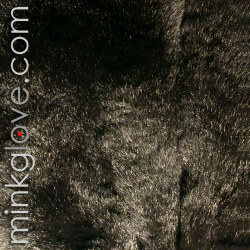 Rex Rabbit - Praised as "nature's velvet", Rex Rabbit fur offers an incredibly soft velvety caress. Most people have never felt the airy yet plush fur, much silkier and more durable than common rabbit to be enjoyed again and again. Picture shows glove on both sides - Fox on one side and Rex Rabbit on the other. Comes as a single glove (not pair). 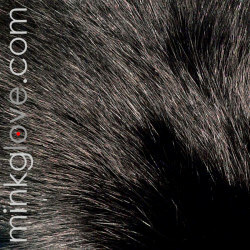 Sexier than lingerie and more deliciously decadent than chocolate, sharing a MinkgLove.com Fur Massage Glove is the ultimate pleasure you'll both enjoy. Alternating both sides of the glove to massage your partner will bring intense pleasure, leaving skin on full sensory alert!